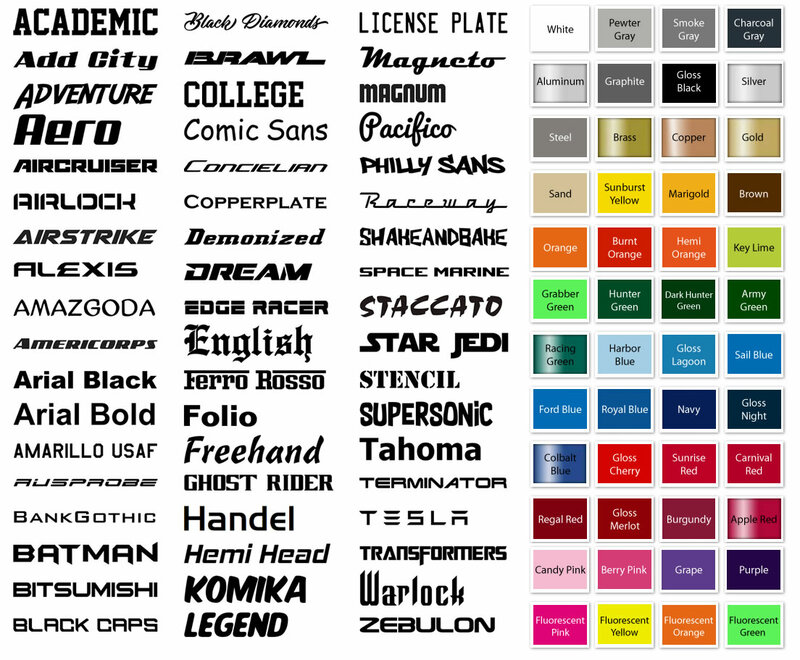 Below is a small portion of our extensive font library for our Personalized License Plate Frames. CLICK HERE to view additional fonts. We can also use your special font. Send Us the font file or just give us the font name. Contact us to request a mockup of your personalized license plate frame. We will need the frame style, font, text, and brief description of your layout. Also, select the color of your choice from the color selection on the right of this page. We look forward to working with you in making the vision of your license plate frame a reality. Contact us at (262)-250-1500 or email sales@billetframes.com to learn more about our wholesale opportunities! Copyright 2018 Billet Frames. All rights reserved.